Nicola Ferdinand, 41, a mum-of-three from Langtoft, went for a routine sight test in Bourne, where the optometrist immediately found a worrying anomaly in her eye – a slightly discoloured optic nerve. Nicola went to Peterborough Hospital for further tests, where an MRI revealed that Nicola had a possible meningioma tumour in her brain. She was sent to the specialist clinic at Addenbrookes Hospital in Cambridge for further scans to confirm this and was diagnosed with an Optic Nerve Sheath Meningioma on her left nerve, as well as three other meningioma tumours around her brain. 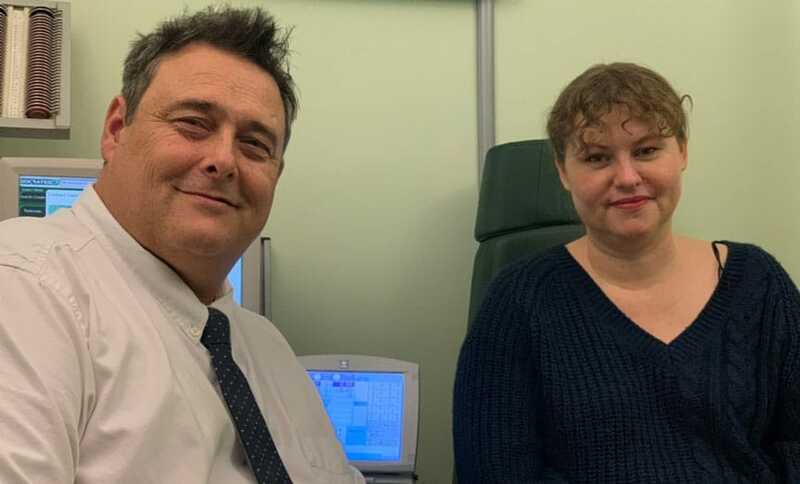 Nicola received radiotherapy treatment for six weeks to stop the optic nerve tumour from growing any further and to help relieve the pressure on her optic nerve which prevented her losing her sight. ‘The radiotherapy was successful in treating the optic meningioma, but in the process, it damaged the nerve so I have now lost some peripheral vision,’ explains Nicola. ‘With the other three tumours, I am having yearly MRI scans to check that they aren’t causing a problem. ‘We’re very pleased to hear that Nicola is on the mend and her prognosis is good,’ says Neil. ‘It was a life-changing diagnosis for her and our very best wishes go out to her and her family.